Application forms: Application forms are distributed in February, and they will be submitted in one of these collection centers. Education is now every human rights. The Right of children is free and compulsory by Act of RTE. It's Rights to Primary Education, Right to Classroom, and Right to books. Education is most important thing in today's world. Aadhaar Card, Water Bill, Driving Licence, Ration Card, Notarised Rent Agreement etc..
• RTE Admission 2019-20 Gujarat Application Form- The applications will be invited by Directorate of Primary Education for the admissions into primary classes. Children of age group born between 2 June 2013 to 01 June 2014 will be considered for admission. Along with that the child must belong to one of the categories:- SC/ST with Parent’s Annual Income upto 2 Lakh, OBC with Parent’s Annual Income upto 1 Lakh and GEN Category with Annual Income up to 68,000. The Children not satisfying this criterion will not be administered and the list of the rejected forms will be displayed on the website with the reason of rejection. 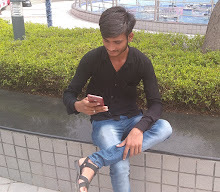 The application form filling for Gujarat RTE Application Form 2019 can be filled in online mode. You can read here about the application process, required documents to be attached along with the application form. Apply Online: Application Form will be available at www.rtegujarat.org. Students can check the User Manual to know the form filling process. User Manual can be downloaded from the official website as well as from here. Candidate should be familiar with Gujarati as the manual is in Gujarati language. 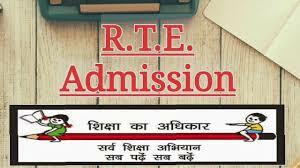 RTE Admissions 2019-20 will Start Short Time.